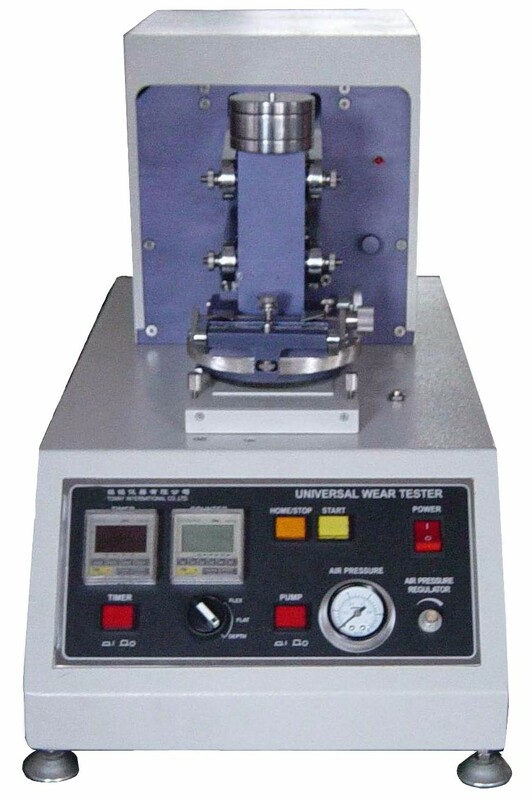 TN1148 Universal Wear Tester，ASTM D3514,D3885,D3886 ,AATCC 119,120 ,JIS L 1096 , JIS L1018 ,FORD EFB 15J2/BN 112-01-TONNY TESTING MACHINE CO.,LTD. counting the number of abrasion cycles. by consistent motor speed providing 120 double strokes per minute of 25mm (1in) stroke length. 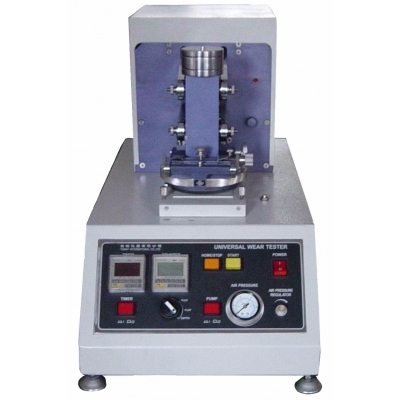 Accessories are available for conducting frosting, pilling and edge abrasion tests. Pilling tests utilize a special elastomeric pad attached to the specimen holder of the optional Frosting Attachment. The specimen is rubbed with a second elastomeric pad ounted on the upper head as the abradant. optional Edge and Fold Abrasion Clamp. General wear tester 1 set. Deflection test fixture 1 set. Flat test fixture 1 pcs. 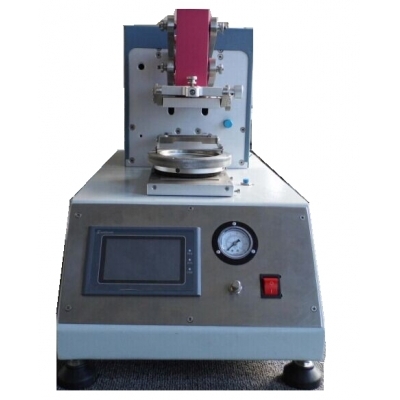 Depth rubbing test fixture 1 pcs. Folding test fixture 1 pcs. 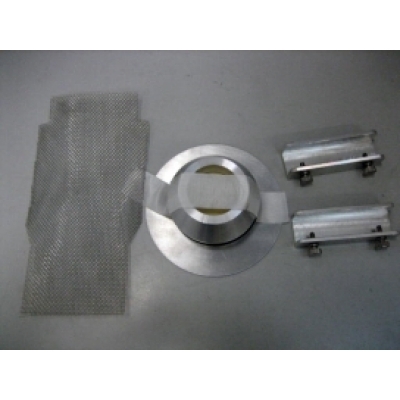 Metal mesh test fixture 1 pcs. Standard emery paper 1 pcs.